For example, the Luxury Designer Eyewear Collections such as Fendi, Prada and Dolce & Gabbana are handcrafted in Italy using innovative, exclusive, top quality materials, employing artisans and jewelers to create original and beautiful products. Titan Minimals by Silhouette from Austria are world renowned as the ultimate in rimless eyewear, enhancing your vision by providing seeing without boundaries, your comfort by the almost weightlessness of titanium, with the classic aesthetic of a no-glasses look. 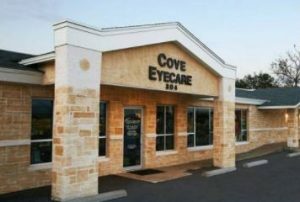 At Cove Eyecare, we will help you select from a wide range of contemporary and classic frame styles that allow you to put your best face forward. From cutting edge, luxury designer eyewear to packages for the budget conscious, our selection of eyewear is constantly changing to reflect the most current trends in eyewear, helping insure that your eyewear fits your features and personality, as well as compliments your lifestyle. To find the most flattering pair of eyeglasses or sunglasses, there’s no substitute for trying them on in person. This allows you to not only see them on you, but to make certain that the fit is optimal for your features, prescription requirements and comfortable for long term wear. If you’re unable to see yourself in a mirror when you remove your own glasses, we can insert a complimentary pair of contact lenses for use while you try on frames. If you prefer, we can also photograph you with different frame choices so you can instantly see how you look on a monitor. There are a few rules to keep in mind when selecting frames, but remember it’s perfectly acceptable to break fashion rules to wear what you love and makes you feel great. Our optical laboratory has the latest in equipment to not only fabricate your glasses, but to maintain and repair them should they become broken or damaged. We are able to tint, coat, harden and edge spectacle lenses. We are able to provide you with any frame or lens design available. Our highly qualified optician and staff are able to adjust and fit your glasses to you for extended comfort and vision. Our certified and experienced technicians can customize your eyewear to fit your lifestyle needs at work and play, giving you better comfort, more freedom, better vision and a great new look. 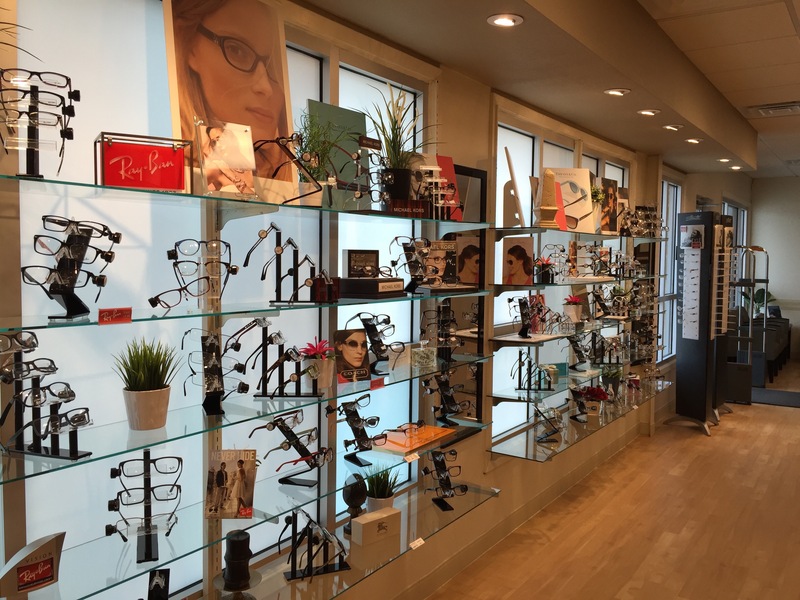 We offer exclusive frames and top quality lenses with an On-Site Finishing Lab. 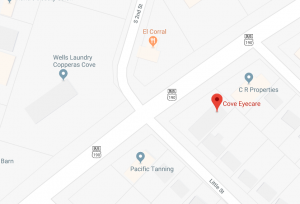 When you purchase a pair of eyeglasses at Cove Eyecare, you will get individualized attention in picking out a frame that meets your needs, based on your facial features, prescription and your style, while not compromising function.